From our new KWTF studios at the CMedia Center in Santa Rosa…. Americana sounds abide. The new and old are blended once more with some vintage Dylan sounds, throwback country from Willie, The Louvins, and Frankie Laine, “throwback new’ sounds from C. W. Stoneking and the best of new Americana. New releases include Left Arm Tan, Bonnie Bishop, Yarn, and Mo Kenney. 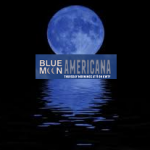 What better way to fill the room around you than with Blue Moon Americana, produced exclusively for Sonoma County’s newest community radio voice, 88.1 FM, streaming 24/7 at www.kwtf.fm.